Springtime Flowers .... What a lovely challenge this is, just when we can see our gardens are starting to come to life again. This time our host is the lovely Vanessa and sponsored by Marianne Designs and Sweet Lilac Flowers. Mats........LR0236. Having stamped the image with Sepia Archival inkpad, the rest of the colour scheme just fell into place. My choice of flowers was based on the earliest flowers in my garden which are daffodils & the blossom on my trees. So there it is a very simple card using very different colours for me, sometimes it's good to get out of your 'comfort zone'. I would love you to give this challenge a go it is so easy to enter, more details here . The F&F girls really love looking at your blogs or you can enter via email, and because the winner is randomly selected everyone has an equal chance. Good morning Annie...hope that you are well!! Your card is beautifully done...so soft and elegant!! Have a wonderful day Annie! 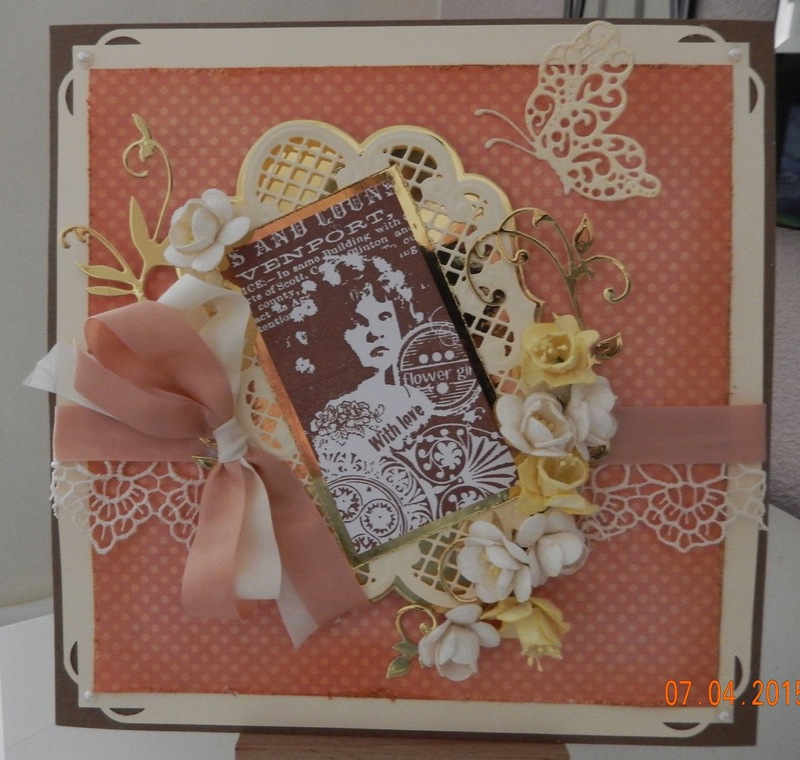 Annie, this is gorgeous and I love the colours you used too - perfect for springtime!